What should we learn if Google knows everything? Prompted by this question, this project explores the complicated and ambiguous relationship between education and design. In addition to creating things like furniture, environments, didactic props and tools, design is also used in subtler ways to shape the conditions and ways in which we learn. Looking into education with a wide field of view – using historical and contemporary case studies, ranging from chairs to political incentives – the thesis opens up the debate on the problems and inadequacies of an aging public education system. The outcome of the research is a proposition for an exhibition and one-year forum on education. The project aims to create a cross-disciplinary platform for the audience and specialists to come together and blueprint the education and schools of the 21st century. Combining spaces that evoke school architecture with a live archive and forum space, the exhibition hopes to become a centre where exhibition and education merge into one seamless experience – thus becoming a valuable resource for professionals and amateurs alike. Billions of words, millions of hours, thousands of experts and hundreds of treatises – all on the subject of education. The issue has never been so prominent in public discourse as it is now, with many commentators calling these last few years a pivotal moment for educational reform. The debate is no longer only about how to educate and the right methods, but also about what to teach, and even whether schools are necessary at all. With the propagation of the internet, digital technologies and looming mass automation, traditional academic frameworks face new and unforeseeable challenges. This thesis investigates the relationship between education and design – the environments, architectures, facilities, systems, and objects that shape and are shaped by pedagogical narratives. Is design just an accessory to education or is it an active tool that can participate in forming its future? By using a selection of case studies and examples, ranging from methods, tools, and props to new schools and initiatives, this thesis explores the interplay between theory and practice. Examining the different scales of structures and objects reveals the interdependence between different components and players in the complex subject that is education. 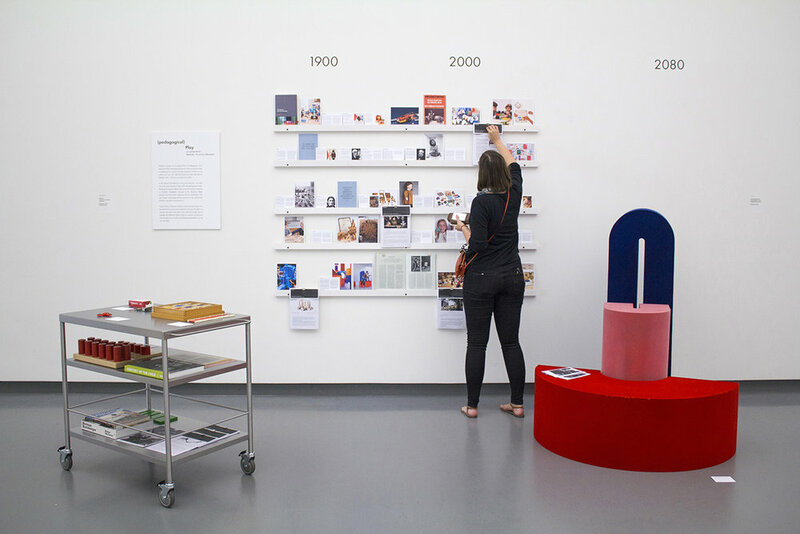 The thesis also considers the role of design in progressive pedagogies and attempts to measure their influence on mainstream education, looking at how they have helped to shape current scholastic alternatives. Shedding light on the capacity of design as both a system and instrument, this thesis defines how the educational landscape might be changed.